Bulgaria I (or “The Tourist blog”) | ¡Permiso, Albania! I am haunted, mesmerized and transfixed by the bizarre diaphonic sounds and dissonant harmonies of Bulgarian folk music. A rich tradition of singing going back over a thousand years (for more click HERE) the music is as complex as the country and its history – of which I still know next to nothing. 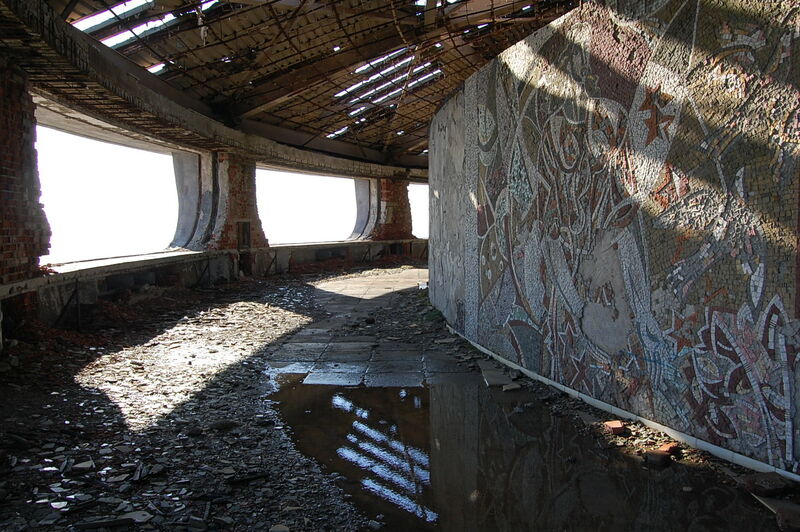 Over the new year holiday, I took up once again with my friend, peace corps colleague, and travel companion, Joe, to explore strange old ruins and monuments, to seek out old vestiges of a communist eastern European past, to boldly go to Bulgaria. Our journey took us to Plovdiv, Stara Zagora, Burgas, Varna, Shumen, Vasiliko Tornovo, and back to Sofia. “You have to talk about dead people all the time? At the center of Balkans, Bulgaria, like much of the area, was highly trafficked by diverse conquerors throughout time. Thracians, Greeks, Macedonian, Roman, Byzantine, Bulgar, Ottoman… and nowhere is this more apparent than Plovdiv, one of the oldest continually inhabited cities in Europe. 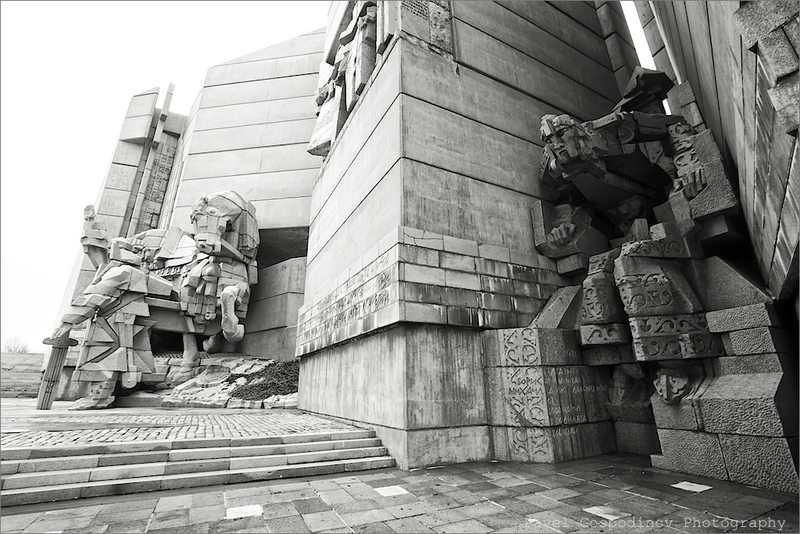 Ages have passed here and the city continues to grow around ruins as old as 4,000 BC. New and old melt into one another as you walk down one of the 6 remaining hills of the city into a modern urban setting. Reminding me a bit of Sarajevo, this city formerly known as Philippopolis (City of Philip) among the many other names it collected, offered our first taste of the variety of cultures that have shaped the country…and it’s humor. Moving along we visited a Thracian necropolis and saw a replica of the Tomb of Kazanlak, and for a little while I could imagine having a similar something prepared for me when I die. 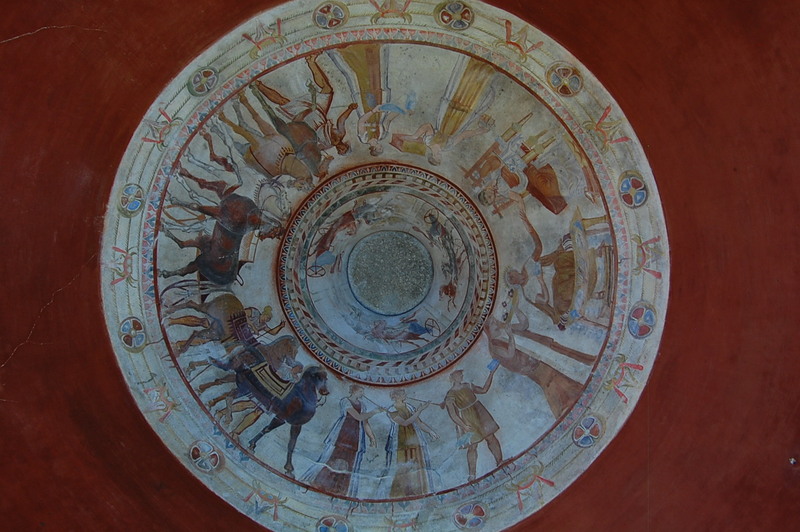 I dare not imagine what images would decorate the domed ceiling or the stories they would tell. 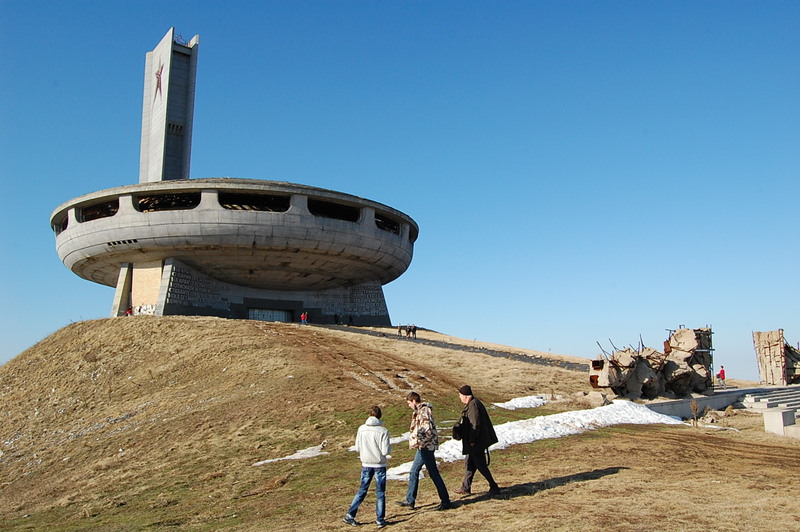 High above Stara Zagora (most of these monuments were “high above”) was the Memorial House of the Bulgarian Communist Party. I know very little of its actual history, but I can tell you of its present. 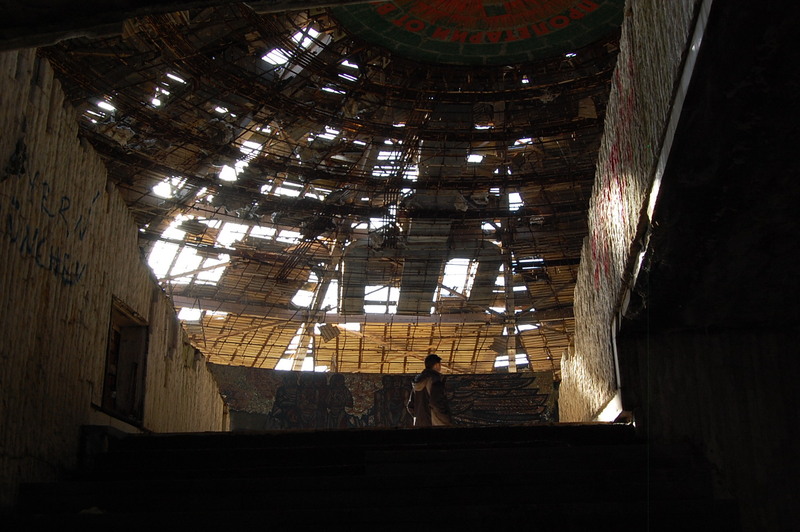 A massive dilapidated building, it stands majestically as a reminder of a past that many Bulgarians would sooner forget. Like the bulking saucer section of the starship, Enterprise, the monument was a symbol leading the people to their future. From the state inside, people didn’t like where that future was going. 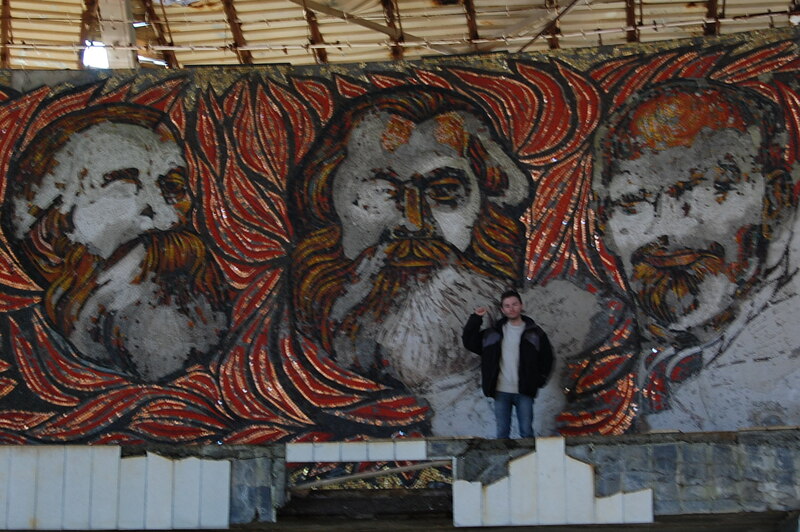 Unfortunately many communist era monuments throughout the Balkans, are abandoned to the whimsy of visitors. While there one family walked away each holding a small piece of one of the many fantastic mosaics that decorated the inner and outer rings. 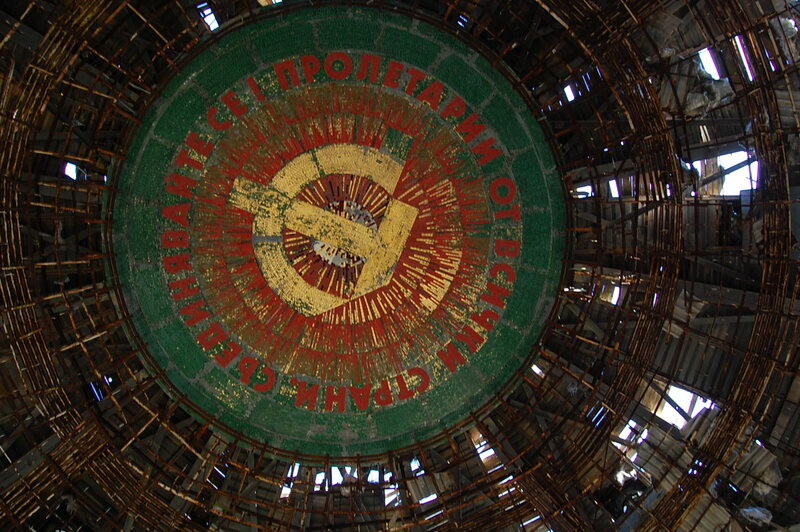 It’s not exactly the happiest of histories, but as a piece of art these monuments still have their place in Bulgaria’s past and present, and deserve some level of protection and preservation. The next pictures are not my own (I left my camera – whoops) but by far one of the most impressive stops was the Monument to 1300 Years of Bulgaria (visit HERE for more pics from the photographer. And this is why I will never be a travel writer. 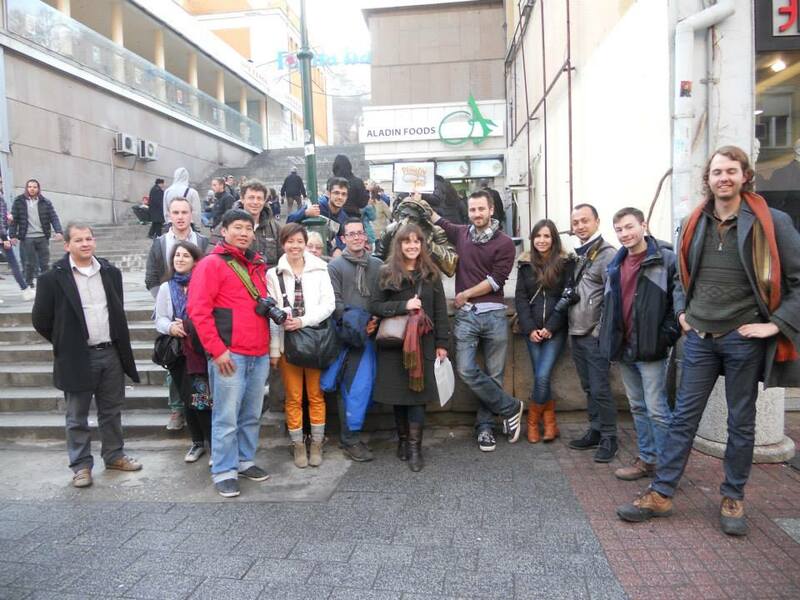 Next blog – Bulgaria II (or “Lost and Found”).